8 animals. EIGHT. That is how many I have living in my house. I know, I know, I know. Trust me. 4 Chihuahuas and 4 feral/stray cats, 2 of which are my pets, they have been tamed and are lovely. The other 2 strays are still in ‘taming’ mode and hopefully will be adopted out over the next couple of months. No, I am not a hoarder, just a woman who is going broke from kitty litter, one who cannot say no, or close my door to an animal in need. Seriously, I have tried, then I lay awake at night. I like my sleep so it is easier for me to just let them all in my house and then take it from there. Needless to say, I clean, a lot. All the time. Cleaning everyday, that is the trick to having a clean animal hostel. Never let your hostel get so dirty that it cannot be cleaned in under 2 hours 😉 This is where cleaning products like Citrus Magic come into my life and make it a little bit easier. Citrus Magic is an all natural, cruelty-free line of cleaning products that relies on the power of natural citrus oils to get your life clean. I can say 1000% that everything they make works. 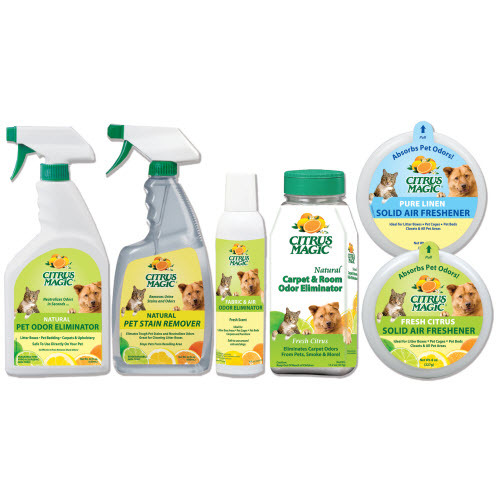 I am currently using their ‘Citrus Magic All Purpose Cleaner’ spray for around the house and also a nice, huge solid air freshener for my basement where the 3 litter boxes are. They also make a line of products strictly for pets, the huge Citrus magic ‘Solid Air Freshener’ I rock is part of their ‘pet care’ line. 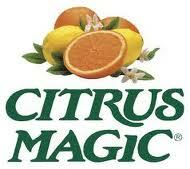 Citrus Magic can be found at Whole Foods, Target, Walmart, KMart, Wild Oats Marketplace and Aubuchon Hardware, as far as chain stores go. I have also purchased them, at where else, T.J. Maxx and Marshall’s. There is really no reason to use chemical cleaners that have been tested on animals these days, there are natural, cruelty-free alternatives to every cleaning product and dare I say that most work better than their chemically counterparts. 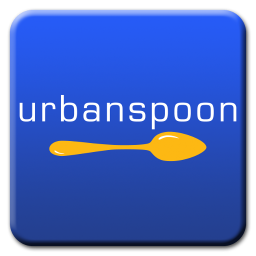 Peep their website below for the 4-1-1 on their amazing products. Categories Cruelty Free Bath and Body. ← Meatless In New Jersey : Unity Charter School.